About the work: Psyche Inspired serves as a reminder that the arts and sciences are not at odds with one another. It reminds us that the incremental acquisition of understanding through observation can be shared and expressed creatively. These are the fundamental concepts that shaped this project, which began with research about the asteroid’s scientific history and about a dozen scientific articles from the second half of the 20th century describing Psyche in terms of photometric analyses. Thus, Photosynthesis is a collection of photographs and scientific articles combined in an attempt to explore similarities between photography and an earlier period of Psyche research. The Psyche mission and the photographs in this project both serve a purpose of acquiring information that may lead to a better understanding and appreciation of our own planet. 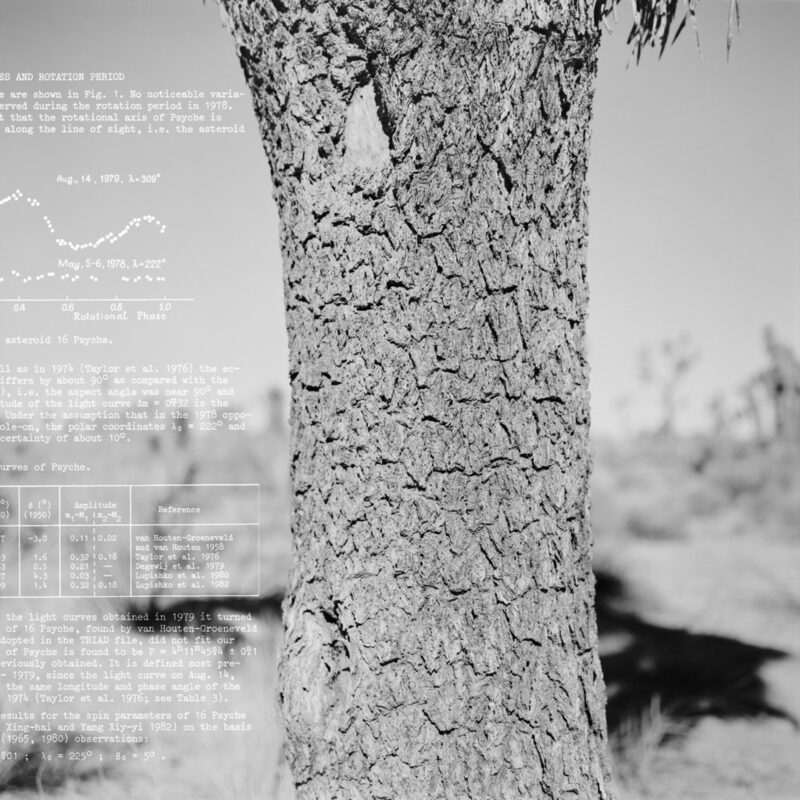 Trees, which also contain important information in their cores, are the subject of these photographs. Much like the Psyche mission, light brings them to life.